Microsoft wants to bring as many of its 1.5 billion Windows users as possible into the Windows 10 fold, and it's starting with events designed to get people into its stores. 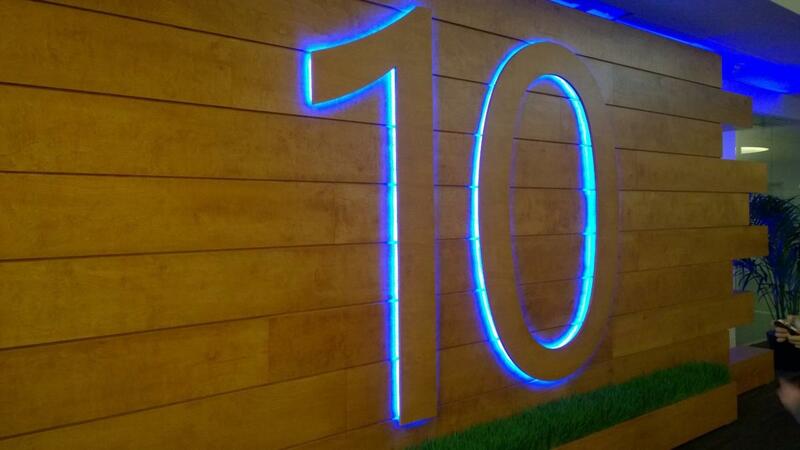 July 29 is Windows 10’s launch day, and Microsoft is working hard to make it a big event. Insiders who faithfully downloaded preview builds and provided feedback will get the best deals, but Microsoft also has some things in store for everyone else—at, you guessed it, Microsoft Stores. Microsoft will hold special launch events at nine of its stores in the U.S. A tenth, Park Meadows Mall in Lone Tree, Colo., is scheduled to host a free live concert with OneRepublic. Nine additional stores will host special guests—the Santa Clara, Calif. store, for instance, will host NBA Finals MVP and Golden State Warriors forward Andre Iguodala, while the Seattle store will host Doug Baldwin of the Seattle Seahawks. In addition, 16 Microsoft Stores in malls will host Windows 10 Experience Zones beginning July 29, giving people a chance to try the new operating system. And yes, there will be giveaways. Perhaps most importantly, the Stores will assist users in upgrading their existing Windows 8.1 PCs, as well as new PCs that are Windows 10-ready, but don’t have Windows 10 installed on them yet. You can also bring in your Windows tablet or PC to a Microsoft store for a free “upgrade assessment,” basically letting you know whether your device is ready to upgrade to Windows 10. Why this matters: Microsoft has a massive job ahead of it, moving users from Windows Vista, Windows 7, and Windows 8/8.1 to Windows 10. Many of these users are also leery of change after the jarring experience of Windows 8. These launch date events are an important part of the company's goal to get as many people as possible onto the new operating system, so it can move forward with its own plans to sell Microsoft services via Windows.